17163 MAQ GUINEA (1993) Scout holding bird in hand*. 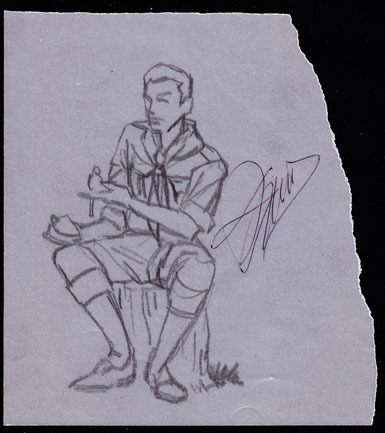 Pencil on tracing paper preliminary drawing of the scout vignette of the stamp, measuring approximately 12 x 14 cm and signed by the artist. Scott No 1243, Yvert No 981. The design was slightly changed in the issued stamp.